CMS' proposed home health payment model alarms providers. Would it boost access for medically complex patients? The CMS has proposed the largest overhaul of Medicare home health payment in many years, out of concern that the current reimbursement system discourages providers from serving patients with clinically complex or chronic conditions. Critics say Medicare's system now gives home health providers incentives to select patients who need higher-paying therapy services, such as joint replacement, rather than those needing help with traumatic wounds or poorly controlled chronic conditions or who are dually eligible for Medicaid and Medicare. Under the proposed home health groupings model, Medicare payment would be based on patient characteristics rather than number of visits for various forms of therapy. 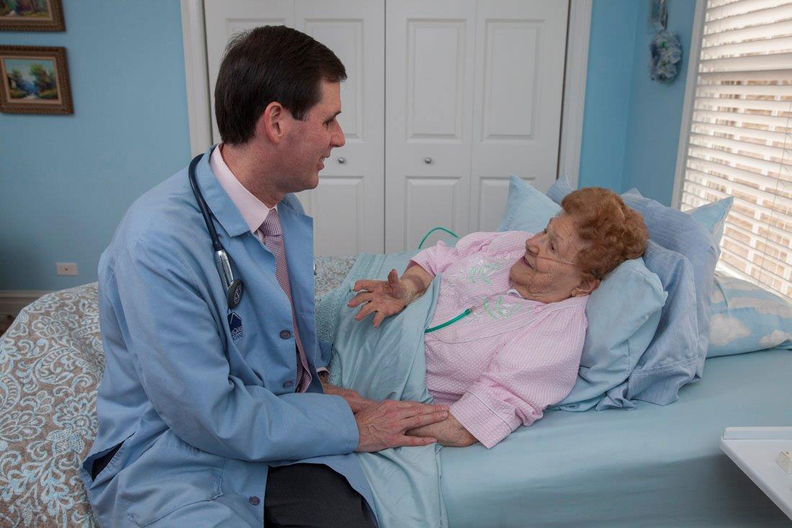 The new system would boost payment for skilled-nursing and home health aide visits for medically complex patients. But providers and patient groups warn that the new payment model would shrink beneficiary access to all types of needed services and lead to many home health agencies shutting down. That could jeopardize hospitals' ability to reduce costs by sending patients home faster with home health support, they say. Kathy Holt, associate director of the Center for Medicare Advocacy, argued that the new system would worsen existing access problems. "We hear all the time from people—including post-stroke patients, paralyzed veterans and people with diabetes, ALS, Parkinson's and cystic fibrosis—that they can't find any agencies that will serve them," she said. The proposed model would adjust payments based on diagnostic severity, functional/cognitive level, comorbidities and referral source. Payment would be higher for patients coming from a hospital stay or other acute-care episode versus a community-based referral. In addition, payments would be based on 30-day episodes of care rather than the current 60-day episodes, because most services are provided during that shorter period. "We're redesigning the payment system to be more responsive to patients' needs and to improve outcomes," CMS Administrator Seema Verma said in a written statement accompanying the proposed rule. Some observers see the move as an affirmation of the Trump administration's support for value-based payment. "This is one of the clearest signals so far that business as usual will not be the path going forward," said Monica Westhead, a senior consultant at the Advisory Board Co. "CMS is really looking for new ways to better align payment in post-acute care." But the rule, which was issued in late July and has received little attention outside the home health industry, is proving highly controversial among providers and patient groups. Their concerns are heightened by the CMS' projection that the new model would result in a home health spending cut of $950 million, or 4.3%, in 2019, when it would take effect. That compares to an expected $80 million payment reduction if the current system is maintained, according to the Westhead. "We are totally on board with CMS modernizing the payment model," said William Dombi, president of the National Association for Home Care and Hospice. "But it's got to be a better model, and nothing we've seen so far convinces us this is it." He and other experts predict Congress will intervene if the CMS doesn't withdraw or delay the new payment system. Public comments on the rule are due by Sept. 25. The American Hospital Association and the Federation of American Hospitals declined to comment for this article. The rule is the latest in a long series of Medicare policy changes dating back to the 1990s designed to curb home health spending and utilization increases. Each time payment and oversight rules are revised, however, providers and patients find ways to get around them. Unlike in previous periods, Medicare home health outlays have been relatively flat over the past several years, growing only 2.3% from 2014 to 2015, partly due to payment curbs included in the Affordable Care Act. But therapy visits—including physical, occupation, speech and respiratory therapy—shot up to 37% of home health visits in 2015, from 10% in 1997, according to the Medicare Payment Advisory Commission. Skilled nursing accounted for 52% of visits that year. Meanwhile, while home health aide visits declined to 10% of visits, from 48% in 1997. MedPAC and the CMS also are concerned that payments to home health agencies generally are too high, based on Medicare operating margins at free-standing agencies averaging 15.6% in 2015, up from 10.8% the year before. In 2015, Medicare spent about $18.1 billion on skilled home health services for nearly 3.5 million beneficiaries, who were served by more than 12,300 agencies, according to MedPAC. Many of those agencies are owned by hospital systems. Share prices for publicly traded home health companies including Amedisys, LHC Group and Almost Family dropped after the CMS issued the rule. But experts say both for-profit and not-for-profit agencies likely would adapt to the new system by changing their marketing strategies and focusing on a broader range of Medicare patients who need more skilled nursing and aide services and less therapy. "We don't like rate cuts, but providers will adjust to what CMS is doing and mitigate it through rebalancing their patient mix," said Brian Tanquilut, a healthcare equity analyst at Jeffries. The spending cut associated with the new pay model would be partially offset by the CMS' annual inflation update and by Medicare's value-based purchasing incentive payments for home health agencies in nine states, he said. Under the new system, home health agencies would have to substantially rethink how they deliver care, including whether using a nurse or home health aide is more appropriate than a therapist in particular cases, Westhead said. Hospital-owned agencies could come out better than other types of agencies under this system because they generally serve more medically complex patients, she added. Currently, nearly 60% of all home healthcare episodes include some form of therapy, Tanquilut said. In its July rule, the CMS said home health agencies may be providing more therapy services than necessary because the current payment system makes those services more profitable than skilled nursing. Holt, of the Center for Medicare Advocacy, said she agrees with the CMS' goal to increase provision of non-therapy services for people with complex or chronic conditions. "A lot of agencies are driven to provide more therapy care and are not providing what people need to stay in their homes, such as help with bathing and getting out of bed," she said. But she wants the rule delayed and reconsidered because it could exacerbate existing access problems, particularly given the associated spending cut. Her organization has done secret shopper tests that have found in some zip codes, no home health agencies would accept certain types of patients who were deemed less profitable. The impact on access could be amplified by new Medicare conditions of participation taking effect in January 2018. Those rules will require home health agencies to receive a physician's authorization before discharging a patient. Unless agencies are sure they can discharge patients if they can't get adequate Medicare reimbursement for them, they'll be less likely to take those patients in the first place, Holt said. Dombi, of the home care association, said his group, like the CMS, would prefer a payment system that's not based on therapy utilization. But he cautioned that quickly adopting an untested new model that reduces reimbursement could jeopardize patients' access to needed home health services of all types, including therapy. "When there's no runaway cost growth, there's no rush to do this," he said. "We think if CMS partners with the industry and beneficiary communities, we could get to a new model starting in 2020." In the proposed rule, the CMS expressed openness to a multi-year rollout of the new payment system. David Grabowski, a professor of healthcare policy at Harvard Medical School, agreed that a demonstration period to test the new model would be ideal. Still, he argued, the current therapy-centric reimbursement system is hurting certain groups of vulnerable patients who lack adequate access to home health, and change is urgently needed. "There will be problems under a new system," said Grabowski, a new member of MedPAC who stressed he was speaking for himself. "But I don't know that they would be more dire than the situation under the existing system."